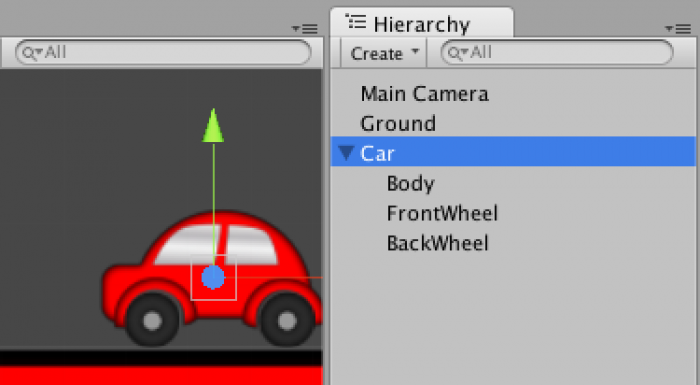 In this tutorial, you will learn about various physics joints available to you in Unity 2D. 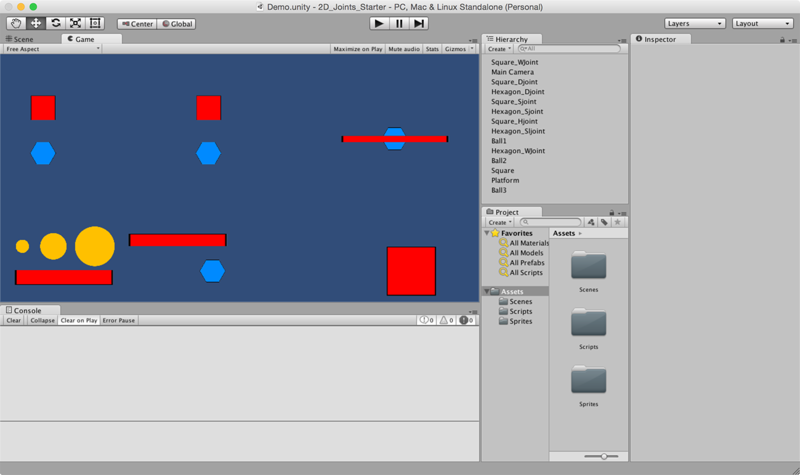 The cross-platform game engine Unity has powerful support for creating 2D and 3D games. 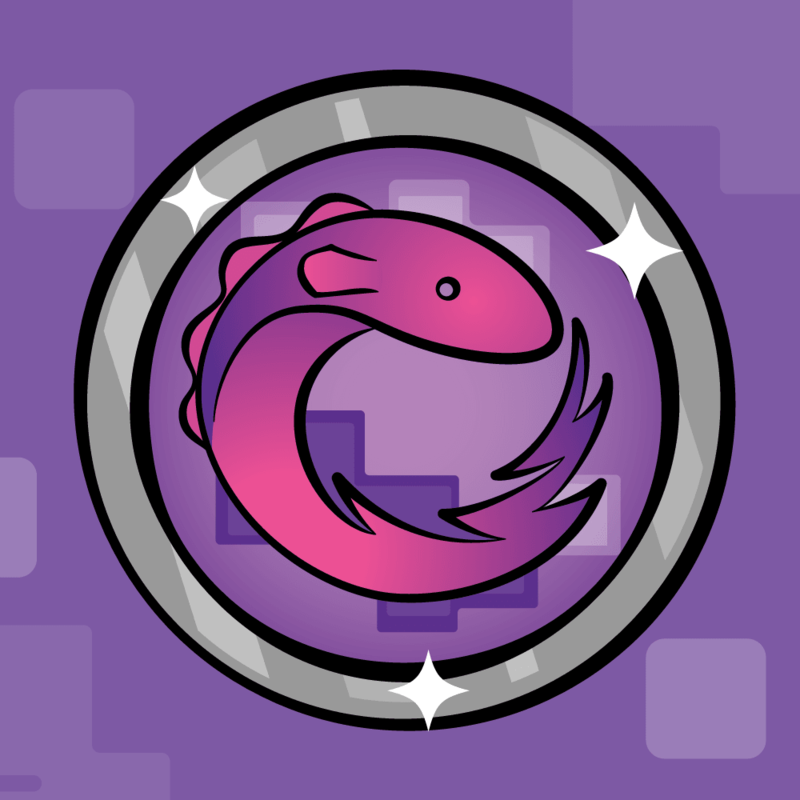 It’s a great choice for aspiring game developers, since it works for most mobile, desktop and console platforms, and even better, it’s free to use for lower-revenue developers and studios. This tutorial will focus on using joints in Unity 2D, although Unity supports joints in its 3D engine as well. Note: If you don’t have much experience with Unity, you’d do well to work through the Getting Started with Unity and What’s new in Unity 5 articles on this site. First, ensure you have the latest version of Unity, which you can download here. This tutorial was using version 5.0.2f1. If you are using another version of the 5.x branch, chances are, this will work fine. Next, download the 2D_Joints_Starter. Unzip it and open the 2d_Joints_Starter project in Unity. The Demo scene should open automatically, but if not, you can open it from the project’s Scene folder. This scene contains various objects with physics components, much like you might find in any game. However, none of these shapes are connected by joints. Throughout this tutorial, you’ll get to try out each of Unity’s 2D joint types to see how they work. Note: While the labels in this scene are in fixed positions, the movement of the objects is based on the size of your Game view. For best results, put your Game view in Free Aspect mode and adjust its size in the Unity GUI until the objects and labels appear similar to the above image. It’s time to get these objects working together with joints! The first joint you’ll add – the Distance Joint 2D – has a very basic goal: to keep two objects separated by a constant distance. You’ll test this out on the red square and blue hexagon in the upper left of the scene. Fear not — you’ll soon learn what all these these parameters do and how you can adjust them. You’ll notice that once you have the component attached to the Hexagon that a green line extends from the Hexagon to the center of the screen. This is the origin point (0,0). Run the scene, keeping your eye on the Hexagon. Right away, you’ll notice that the Hexagon flies across the screen until it stops near the origin point, then begins to rock back and forth on the joint. The rocking behavior is the actual joint behavior, but what’s the deal with the initial jolt of energy? This is actual expected behavior and you’ll learn about it soon. 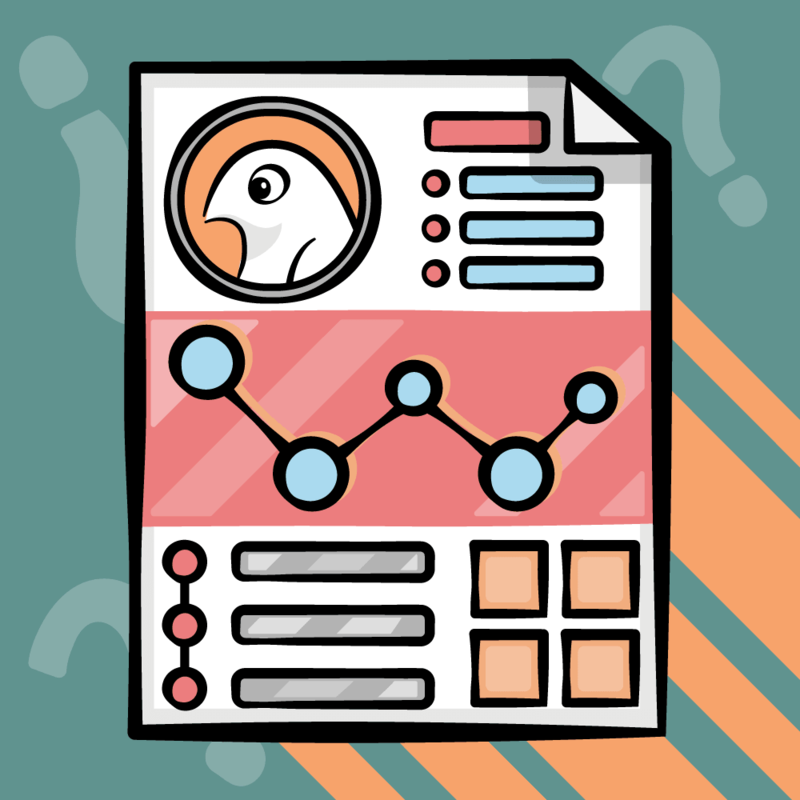 Turn your attention back the component in the Inspector. The Distance Joint 2D’s first parameter is Collide Connected. This determines whether or not the two objects connected by the joint can collide with each other. In this case, you don’t want this to happen, so leave it unchecked. The second parameter is Connected Rigid Body. While one end of the distance joint always remains connected to the object that contains the component, you can use this field to pass a reference to an object for the other end of the joint’s connection. 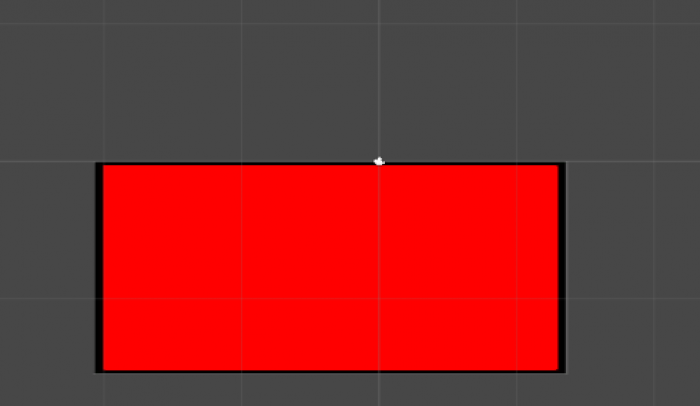 If you leave this field empty, Unity will simply connect the other end of the joint to a fixed point in the scene. The next parameter is Anchor, which indicates where the end point of the joint attaches to the GameObject as specified in the object’s local coordinate space. In the Scene view, with Hexagon_Djoint selected, you can see the anchor point as an unfilled blue circle centered over Hexagon_Djoint in the image above In this case, leaving the value at (0, 0) is fine. 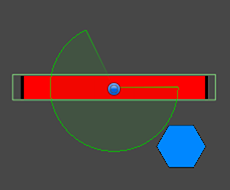 Note: The unfilled blue circle representing the joint’s first anchor point may appear filled if you currently have the Transform tool selected in the Scene view. Likewise, you will see a white square if you have the Scale tool selected. In either case, moving the anchor away from (0, 0) will show that it is indeed an unfilled circle. The Connected Anchor parameter specifies the anchor point of the other end of the joint. If the Connected Rigid Body field is empty, this value is in the scene’s coordinate system. However, when Connected Rigid Body is set, as it is now, the Connected Anchor coordinates refer to the connected rigid body’s local coordinate space. This anchor point appears in the above image as a solid blue circle centered over Square_joint. Once again, you can leave this value at (0, 0). The fifth parameter of the Distance Joint 2D is the one that bears its namesake: Distance. The name says it all: this parameter indicates the distance to maintain between both objects. 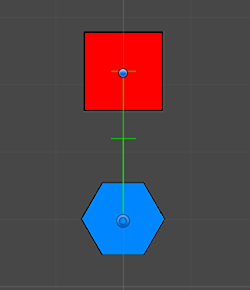 Back in the Scene view, you can see a small green line intersecting the line connecting the two objects; you can see this in the image below. This line indicates the distance enforced by the joint. When you run the scene, the joint will move Hexagon_Djoint so that the Anchor you defined is at the point where the small line. As you increase or decrease, the line will correspondingly move up or down. The last parameter is Max Distance Only. 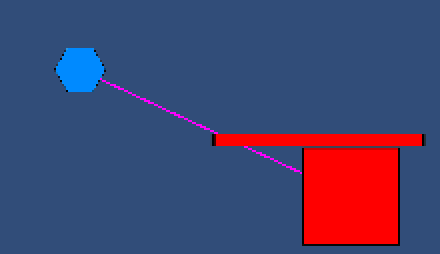 If enabled, the joint will only enforce a maximum distance, meaning that the objects can get closer to each other, but never further away than the value specified in the Distance field. In this example, you want the distance to be fixed, so leave this parameter disabled. While you can see your joint working, you can’t actually see your joint. Sure, the Scene view shows a green line connecting the two objects, but the Game view doesn’t. 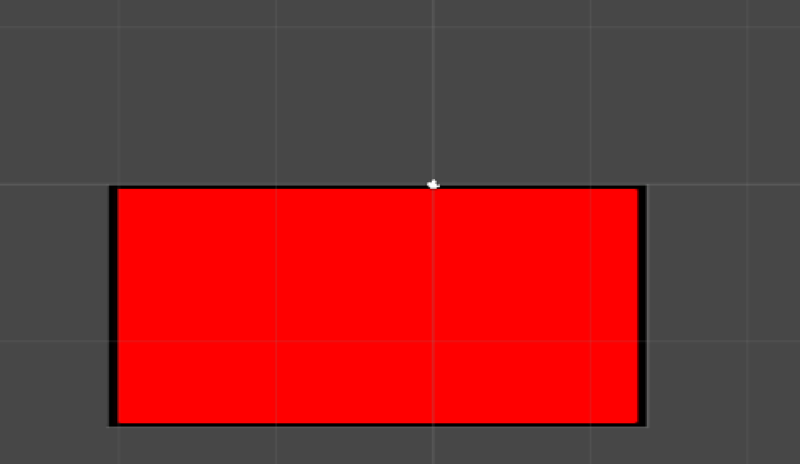 Note: The Line script draws a line between the positions of two GameObjects. It doesn’t actually use the joint’s data, and as such, will not faithfully reproduce some joint settings. For example, if your distance joint does not specify a Connected Rigid Body, or if the anchors are not at (0, 0), then the line displayed will not properly visualize the joint’s location. You’ll notice that no matter where you move the Square_Djoint, the Hexagon_Djoint will always be a certain distance from it. Run your scene again, only this time check the Max Distance Only property of the Distance Joint 2D. This will only enforce the max distance of the joint, allowing the two objects to pass through each other. Now when you you move the Square_Djoint, you’ll see a different behavior. Now that you’ve covered the Distance joint, the next logical step is to investigate Springs. 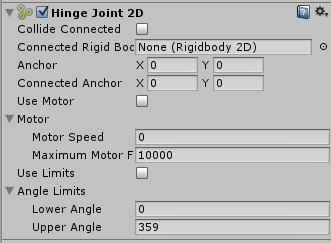 Spring Joint 2D has several fields in common with Distance Joint 2D: Enable Collision, Connected Rigid Body, Anchor and Connected Anchor all work exactly the same way for springs as they do for distance joints, so there’s no need to re-explain these. Just like Distance Joint 2D, Spring Joint 2D contains a Distance field that specifies the distance the spring should try to maintain between the two objects. However, while distance joints strictly enforce this distance, spring joints bounce back and forth around this distance, gradually coming to a stop at the specified value. The Damping Ratio specifies the degree of suppression for the spring oscillation. In other words, it determines how quickly the objects connected by the spring will come to a rest. Its value ranges from 0 to 1, with 0 being the slowest and 1 being the fastest. You’ll want to play around with this value to get the best result in your games, but for now, leave it at 0 to get a very bouncy spring. Frequency indicates the frequency at which the spring oscillates in cycles per second; in other words, the number of times the spring bounces each second. This value should be higher than zero, where zero means the spring starts out at rest. Lower values produce stretchier springs and higher values produce tighter ones. Frequency and Damping Ratio work together to produce the spring’s final behavior. You’ll usually need to tweak each of these quite a bit to get the perfect result for your game. Play around with the different values in both the Frequency and the Dampening values to get an idea of how the spring moves. While the distance and spring joints are similar to each other, the next one — Hinge Joint — is quite different. The Hinge Joint 2D is slightly different from the last two. This specific joint lets a GameObject with a Rigidbody rotate around a fixed point. The joint calculates the correct rotation for the object when a force affects the object’s Rigidbody, meaning no additional script or code is needed. As you’ll soon see, hinge joints provide several configuration options so you can create various moving bodies such as doors, weight-triggered trap doors, water wheels and more. In this example, you’ll make Square_Hjoint (which is actually a rectangle) rotate when you put some weight on it. Once again, there’s Collide Connected, Connected Rigidbody, Anchor and Connected Anchor. These fields all work the same way as before. This time, leave the Connected Ridigbody field empty to connect the joint to a point in space. Recall that when Connected Rigidbody is empty, the Connected Anchor coordinates are in the scene’s coordinate system. That means the default coordinates (0, 0) aren’t correct in this case. The next parameters are specific to Hinge Joint 2D. Checking Use Motor makes the physics engine apply a constant force to rotate the joint in an effort to reach the specified speed. I say “in an effort”, because the Rigidbody might have other forces acting on it that speed up or slow down the rotation. You specify the motor’s target speed in the Motor Speed field as a value in degrees per second. The motor will try to maintain this speed by applying torque to the joint. You can specify the maximum torque the motor may apply using the Maximum Motor Force field. The higher this value, the more the motor will resist external forces that might try to stop the rotation. The Use Limits enables or disables rotation limits, which restricts the joint’s rotation between the specified Lower Angle and Upper Angle values. Try the same thing with the different balls in the scene; notice how bigger balls increase the speed of rotation. That’s because the three balls in the scene were each created with a different mass — this demonstrates how the hinge rotates differently based on the force applied. To see the motor in action, select the Square_Hjoint in the Hierarchy and in the Inspector, check the Use Motor checkbox. Next set the Motor Speed to 500 and uncheck Use Limits. Run your game. Now you’ll get movement without needing to anything. Congratulations! You defied physics and created a perpetual motion machine! Uncheck Use Motor and check Use Limits for the rest of this tutorial. 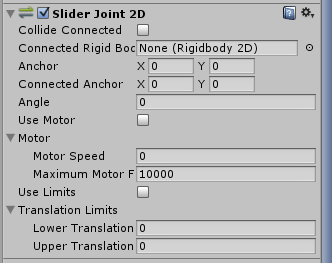 Now that your platform spins, you’ll add a slider joint to create some more physics-based interaction. Slider joints restrict an object’s movement along a line in space. In this section, you will use the hinge joint you just created to start another object moving along a slider joint. The one completely new field you see is Angle; this sets the angle between the Anchor point and the Connected Anchor point. The GameObject with the slider joint will reposition itself at runtime to match this angle. Set the Angle to -45. You’ll notice a small green line in the scene view will replicate that angle. Now, run your game. You’ll see that instead the joint is now positioned at a forty five degree angle. 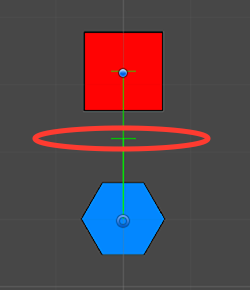 Since you want Hexagon_Sljoint to move to the right of where it starts in the scene, set the Angle back to 0. 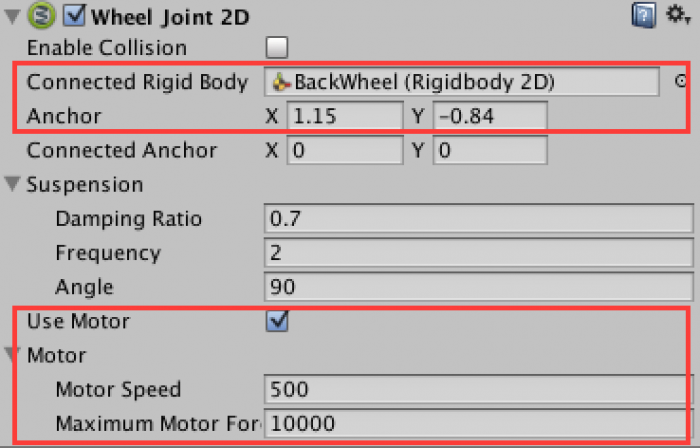 While you can make rotating objects with hinge joints, you’ll want to use a wheel joint to simulate things such as the wheels on a car. 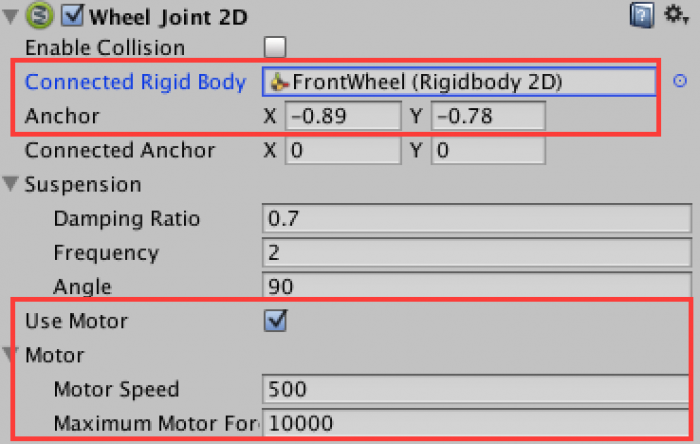 Wheel Joint 2d is the final joint you’ll explore in this tutorial; it simulates a rolling wheel you can connect to another object, complete with a suspension spring to provide some “give” between the wheel and its other anchor point. This joint exists primarily to simulate the wheels of vehicles. However, in this example you’ll keep it simple and just use it to create a rotating platform. Most of this component’s fields should look familiar. One difference is that you shouldn’t leave Connected Rigid Body unset; Unity won’t complain if you do, but the wheel joint won’t do anything in that case. The Suspension section is unique to wheel joints. It includes three fields: Damping Ratio, Frequency and Angle. The first two work just like they did in Spring Joint 2D, while Angle works as it did in Slider Joint 2D. These three properties work together to describe a spring that keeps the wheel separate from its anchor vehicle and oriented in a specific direction. To see the Wheel Joint really in action, create a new Scene by selecting File \ New Scene. 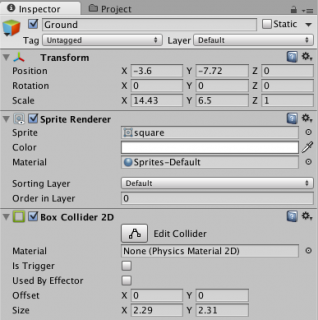 From the Sprites folder, drag a square into the Scene view. Set the Transform position to: (-3.6, -7.72, 0). Set the Scale to (14.43, 6.50, 1). Create a new Empty GameObject. Call it Car. Set the position to: (6.4,1.13,0). 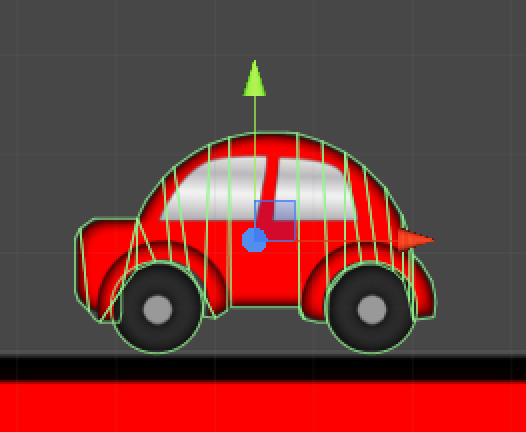 From the Sprite folder, drag the Wheel sprite from the Sprites folder and into the Car GameObject.Do the same for both the wheels, positioning them in the empty wheel wells. Call them: FrontWheel and BackWheel. 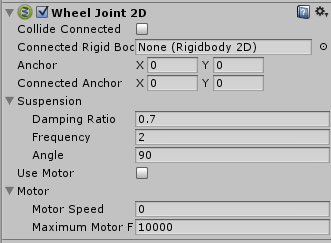 Next, add Rigidbody 2D components on the Body, Front Wheel, and BackWheel. 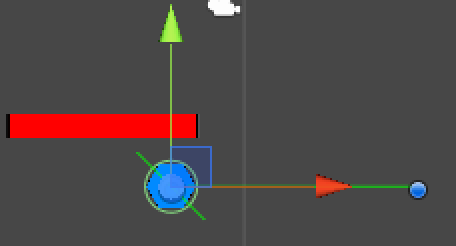 With your Rigidbodies in place, add a Circle Collider 2D to the FrontWheel and BackWheel. 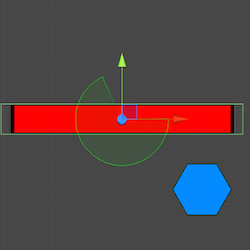 Add a Polygon Collider 2D to the Body. 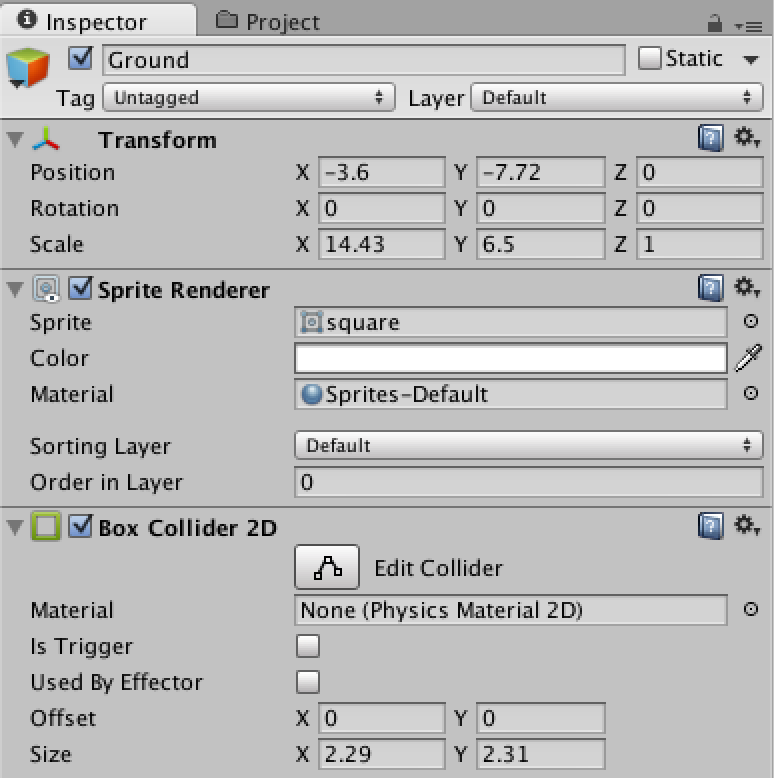 Next, select the Body in the Inspector, and click the Edit Collider button. Drag the polygon collider around the wheel wells so that the wheels won’t collider with them. 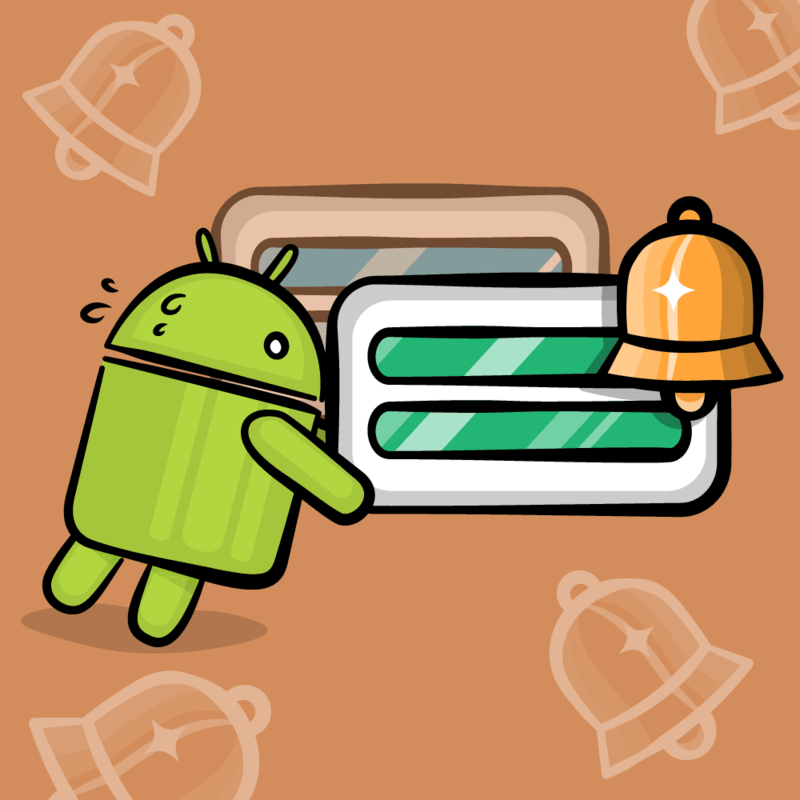 Select the Body in the Inspector. Add a Wheel Joint 2D to it. In the Connected Rigid Body property, add the FrontWheel. In the Anchor property, set X:-0.98 Y:-0.78. Check the Use Motor checkbox and set the Motor Speed to 500. With the Body still selected. Add another Wheel Joint 2D to it. In the Connected Rigid Body property, add the BackWheel. In the Anchor property, set X:1.15 Y:-0.84. Check the Use Motor checkbox and set the Motor Speed to 500. With your engine ready to go, play your scene. You’ll see your car take a ride! You can download a copy of the completed project here. The 2D Physics Reference in the Unity Manual. The 2D section of Unity’s tutorial section, which includes video tutorials on some of the 2D joints covered in this tutorial. If you have any comments or questions on this tutorial, feel free to join the discussion in the forums below!